As a child growing up in Texas, I would wait with anticipation and bated breath for the Neiman Marcus catalogue to arrive every fall. I even voraciously read the book, His & Hers Gifts by the store’s founder Stanley Marcus, at a young age. Some things never change. In fact, it gets better. The 2016 Christmas Book was unveiled this week by Neiman Marcus in Dallas. The 90th edition of this legendary book continues the brand’s tradition of offering a selection of spectacular holiday gifts sure to make stir even the wildest of gift-giving dreams. 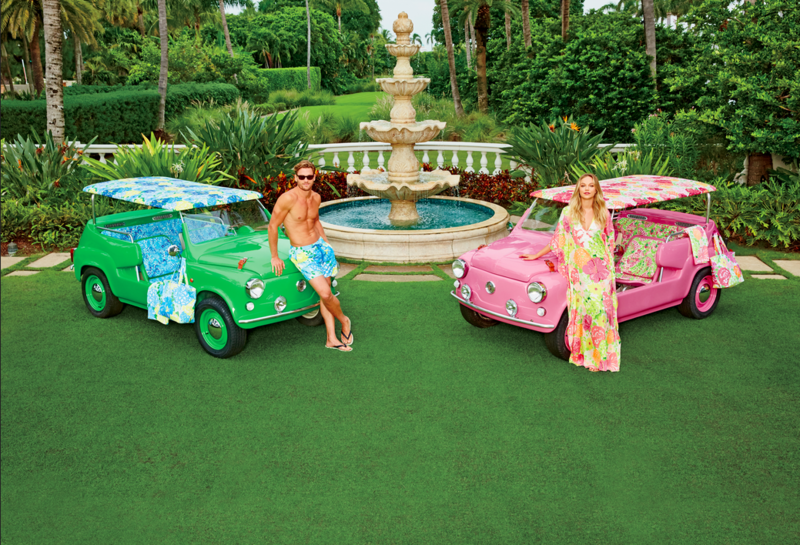 Some of the Fantasy Gifts include a walk-on-role in the Broadway musical Waitress, an exclusive Grammy Awards experience, private quarterback camp with Joe Montana, and His & Hers Neiman Marcus Island Cars featuring Lilly Pulitzer, shot in the style of our favorite vintage society photographer Slim Aarons. Yes, the arrival of the Christmas Book is considered by many to mark the official start of the holiday shopping season. This year’s edition carries on the Neiman Marcus tradition of presenting a refined selection of items across a broad range of categories for everyone on your holiday shopping list. Some other Fantasy Gifts include a week at Three English Estates experience, a slumber party at the Neiman Marcus Flagship and a Cobalt Valkyrie-X Private Plane in rose gold. This year’s featured car is an INFINITI Q60 Neiman Marcus Limited Edition. "We are thrilled to present the 2016 Fantasy Gifts. Our team has scoured and vetted hundreds of one-of-a-kind ideas resulting in this highly curated collection of 12 items and experiences." said Jim Gold, President & Chief Merchandising Officer of Neiman Marcus. "It is our goal to bring dreams to life!" First published in 1926 as a 16-page booklet, the Neiman Marcus Christmas Book was initially intended as a Christmas card to the store’s best customers. Through the years, the book has maintained its personal touch while evolving into a legendary source for alluring and mystical gifts. And, we love that there’s something for everyone. The Love to Give Collection, also featured in the 2016 Christmas Book, includes over 40 perfectly priced items for gift giving. Each Neiman Marcus store gives ten percent of the proceeds to benefit youth arts education in Neiman Marcus communities across the country. An additional $50,000 from online sales goes to The Heart of Neiman Marcus Foundation. Vendors participating in the Neiman Marcus Love to Give Collection include, but are not limited to, Hermès, Yves Saint Laurent beauty, Fresh, Lumio, Sugarfina, and Kate Spade. Prices range from $10 - $200. Hip stocking stuffers, cool hostess gifts and unexpected treats can be found in the Fun to Give Collection, also featured in the 2016 Christmas Book. These imaginative, easy to buy items (starting at just $5) are truly fun to give.